Made with the LOLCat Builder at I Can Has Cheezburger, but probably not funny to most of the people who visit that site, so I posted it here. 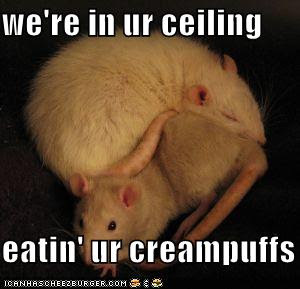 I can only laugh at this with my eyes closed, because the rats are totally freaking me out. Funny, but I think they could have gotten a more demonic scary type pair of rats--these look kind of cute!